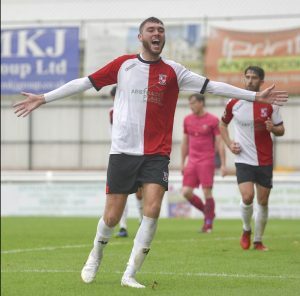 ON-LOAN Oxford United striker Harvey Bradbury received a standing ovation after he scored a hat-trick for Woking in the 4-0 demolition of Tooting and Mitcham United in the Second Qualifying Round of the FA Cup on Saturday. 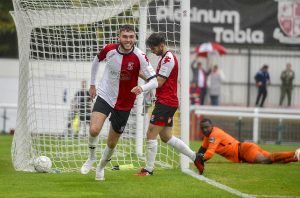 With last year’s FA Cup heroics against SkyBet League One Bury and Peterborough United still fresh in many fans’ minds, Woking boss Alan Dowson was very aware that expectations would be riding high ahead of this year’s cup competition. True to form, the hosts started the game on the front foot, creating several chances before Bradbury nodded past Terrors’ goalkeeper Morgan Campbell. An inspired performance by the visiting keeper kept The Cards at bay for a while, but Bradbury would not be denied, adding two more before he was subbed off in the second half. Armani Little, also on-loan from Oxford United, scored from the edge of the penalty box to round off a convincing performance and book The Cards’ place in the next round.